If you or a loved one has been diagnosed with spinal cord injuries as the result of an accident or a medical procedure, it is imperative that you get the help you need right away. Spinal cord injuries frequently do not heal on their own, and even when they do, you or your family member may never be the same. Instead of waiting to “see how it goes,” it is crucial that you get the help you need right away. Call Williams & Williams Law Firm at 770-823-2711 to discuss your case for free. Our law office is in Alpharetta, and our attorneys serve clients facing spinal injury in Atlanta and nearby areas of Georgia. The spinal cord is one of the most crucial apparatuses in the human body. It is a bundle of nerve fibers, shaped like a cord, enclosed within the spinal column and extending from the brain midway down the spine. It connects nearly all parts of the body with corresponding areas of the brain, creating a pathway down and up which critical information travels, allowing the brain to communicate with the body. Without your spinal cord, you wouldn’t be able to walk, move your limbs, control multiple bodily functions and more. If you have experienced damage to your spinal column and are seeing results of your accident, it’s important you get the help you need right away. Spinal injuries may impact you for the rest of your life, but you don’t need to wait to start working on making things better. 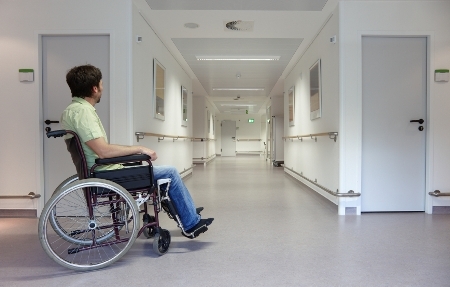 By some estimates, more than 400,000 Americans live with spinal injuries. Although this might seem counterintuitive, most spinal injuries occur in the younger set, between the ages of 16 and 30. About four out of five spinal cord injury victims are male, due to riskier behavior. That said, however, just because you have a spinal cord injury does not mean you were at fault. In many cases, in fact, people who are injured in the spine are the victims and are eligible for compensation. If your spinal cord has been damaged, the area below the point of injury will not be able to communicate with your brain, meaning your body is effectively cut off from your brain. Instead of accepting this as a fact of life, it behooves you – or your loved one – to seek out the help of an attorney. A reputable attorney experienced in spinal cord cases can not only help you get the compensation you deserve; they can help you seek better medical treatment and afford procedures that may significantly improve your mobility and standard of living. If you are looking for an attorney to help you with information and representation for spinal cord injuries, Williams & Williams Law Firm would love to help. You can call us at 770-823-2711 or email us today for a free case review. Find out more about what we do and how we can assist you.